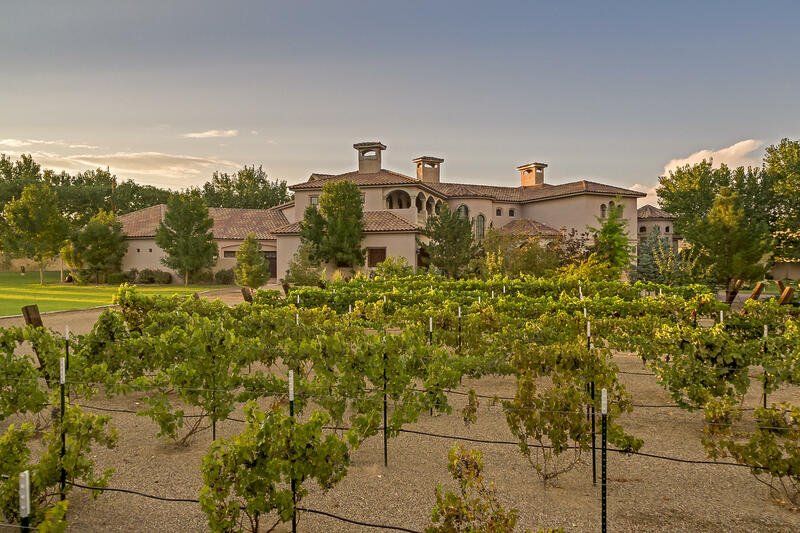 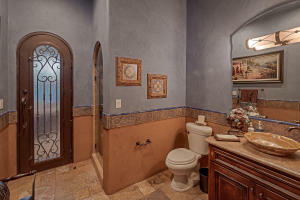 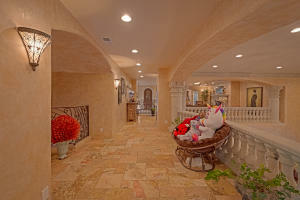 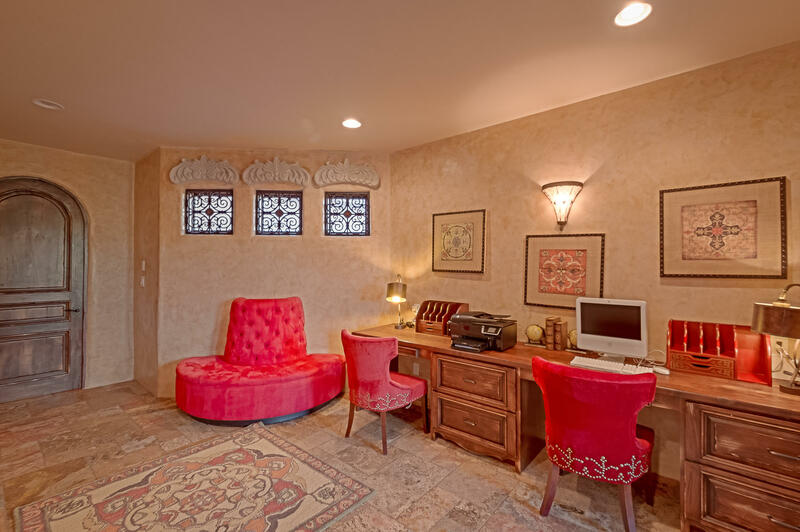 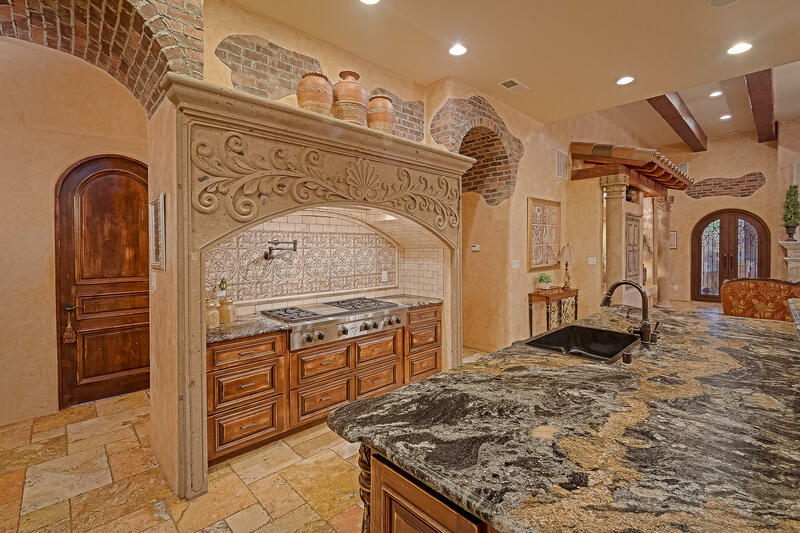 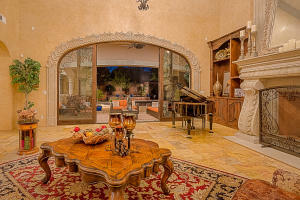 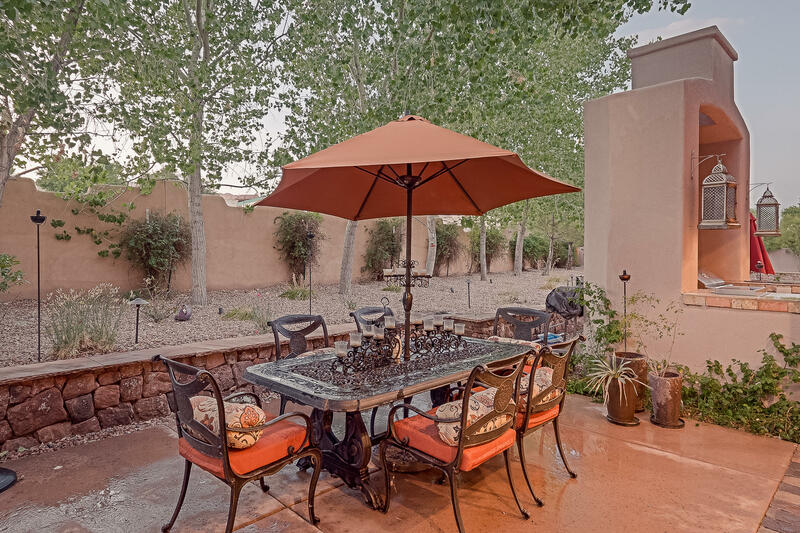 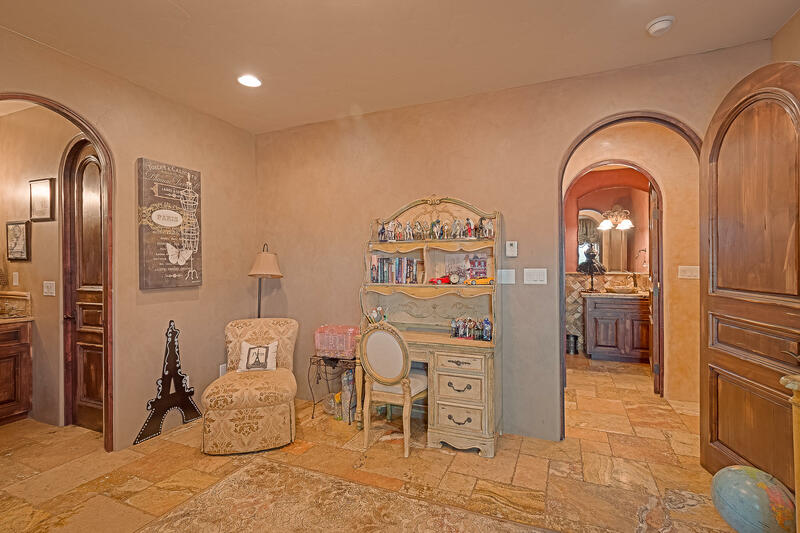 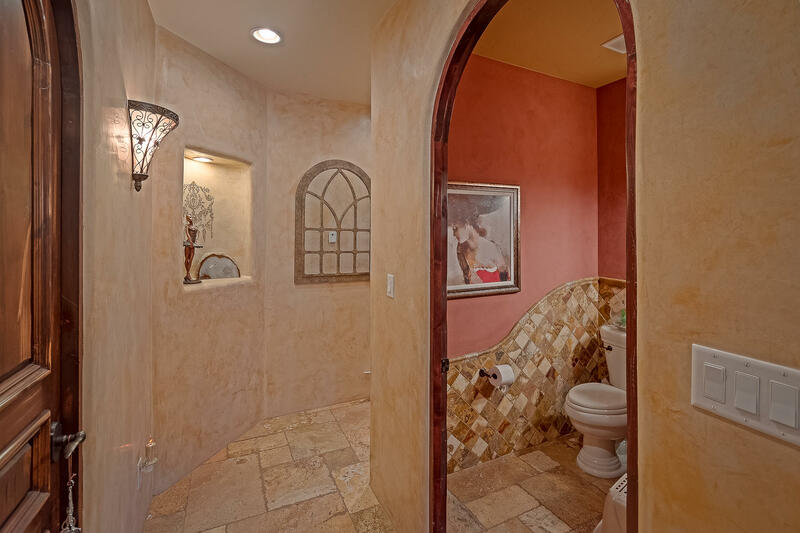 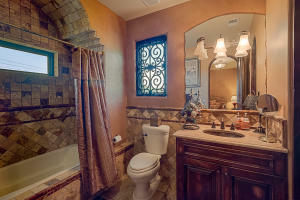 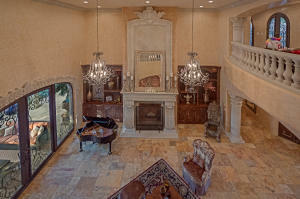 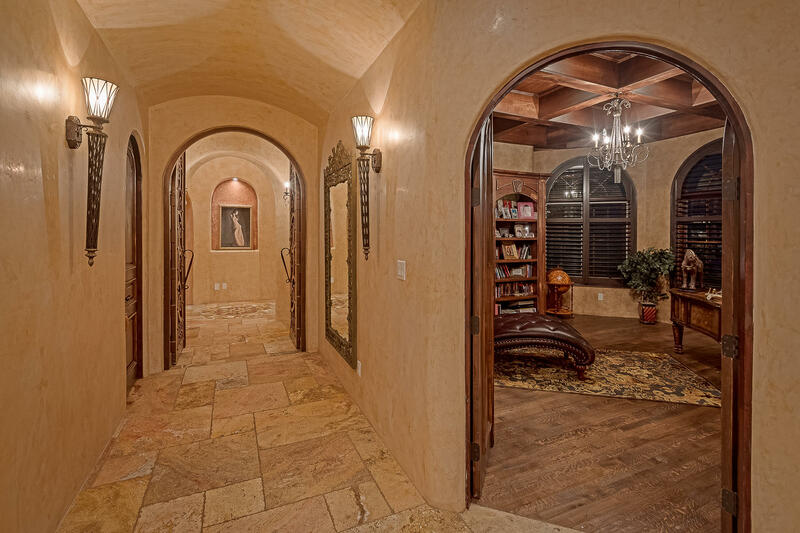 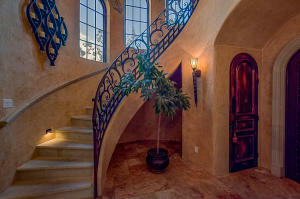 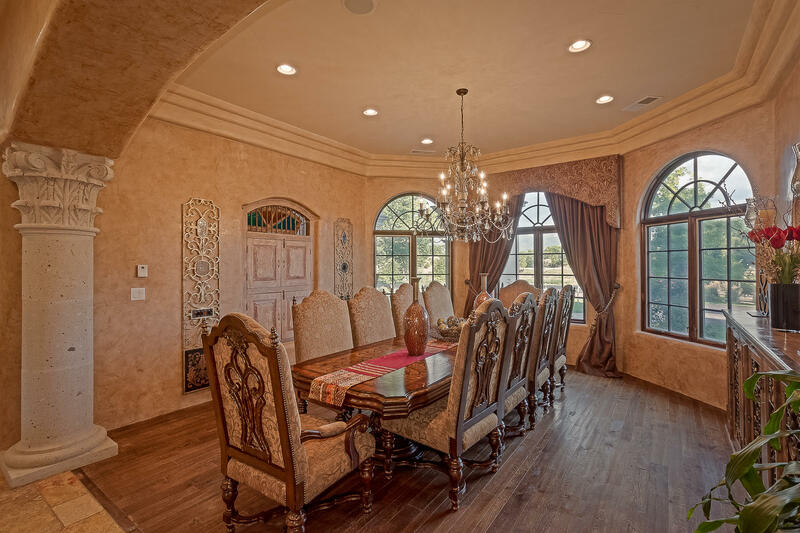 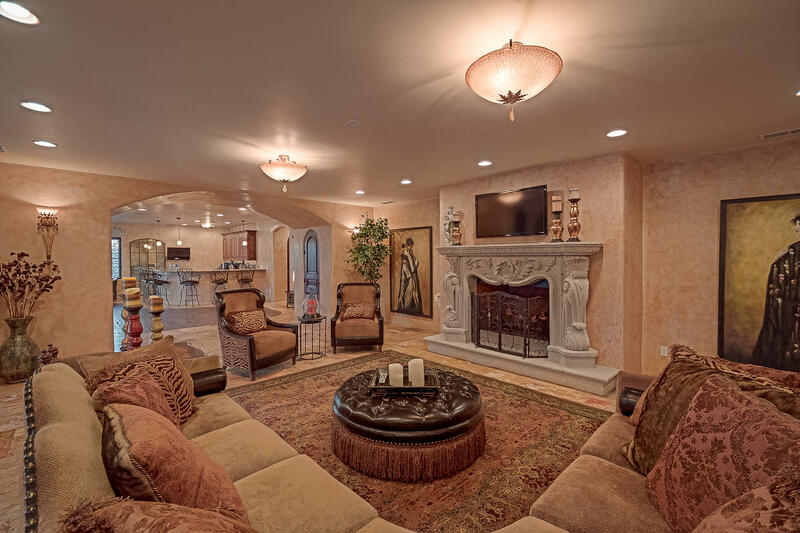 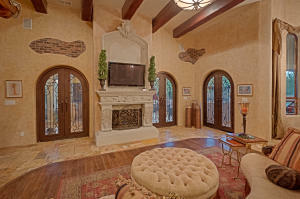 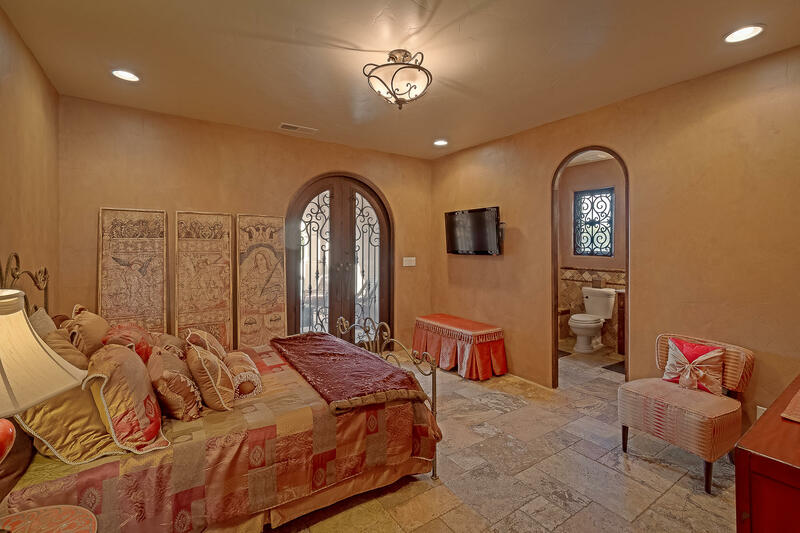 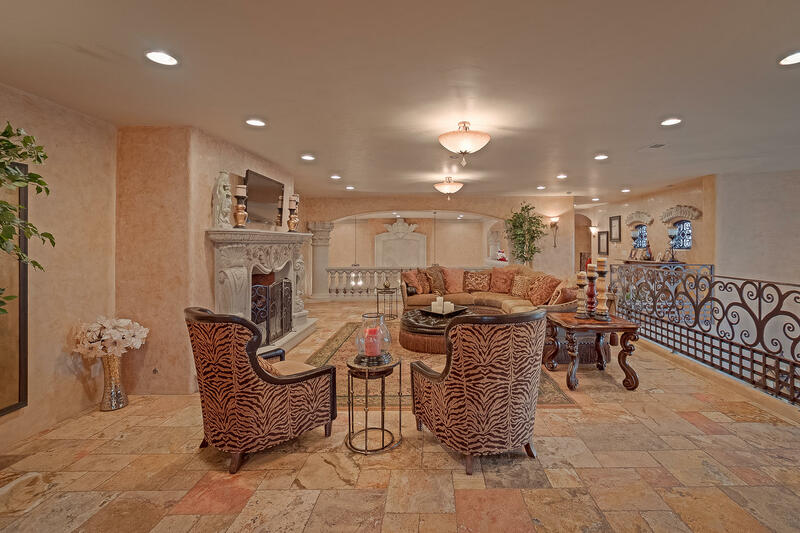 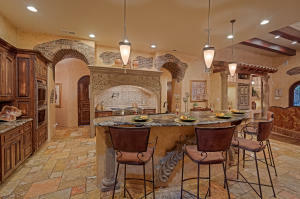 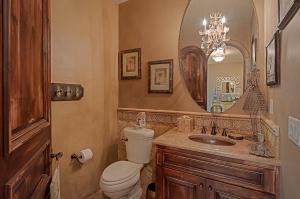 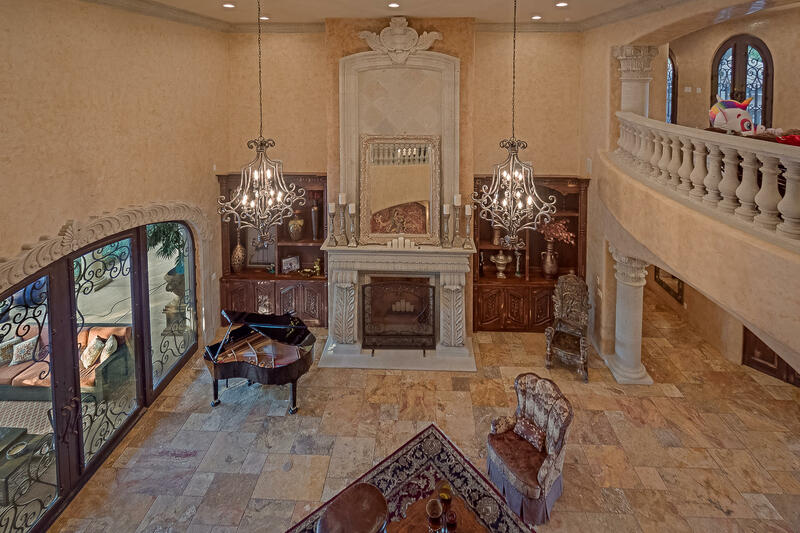 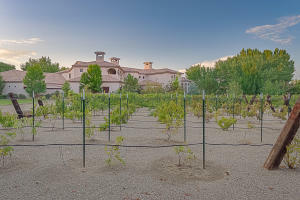 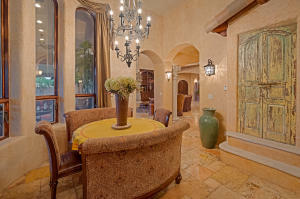 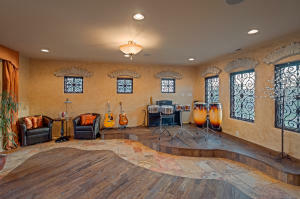 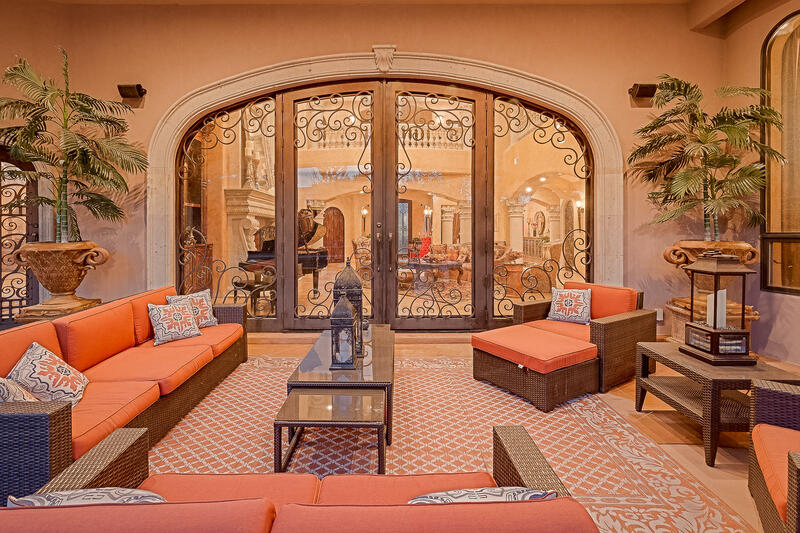 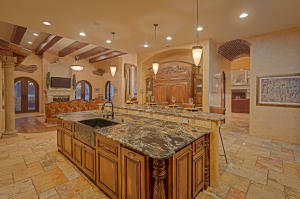 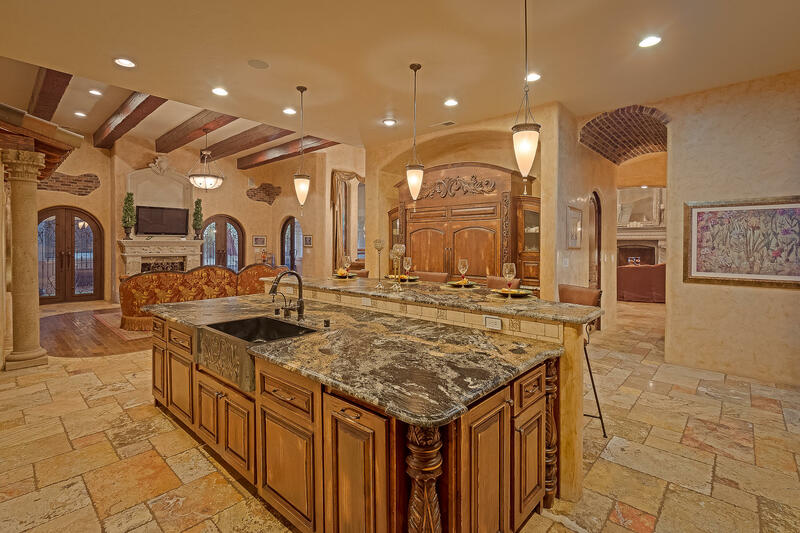 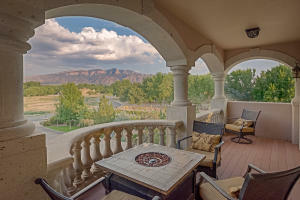 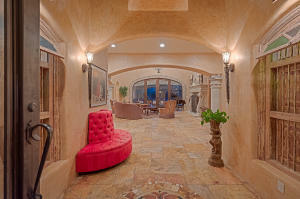 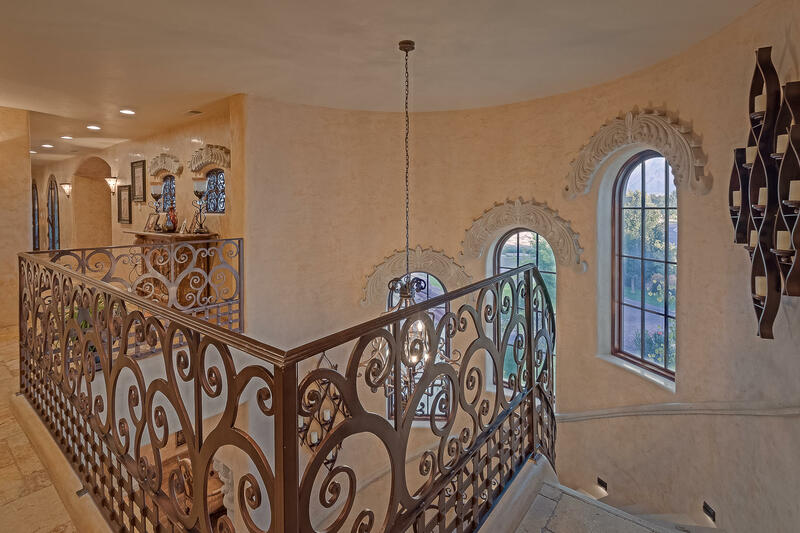 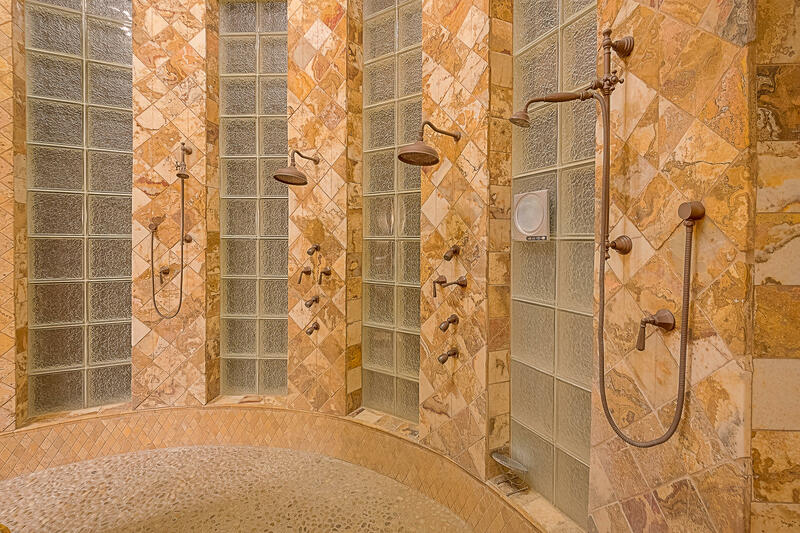 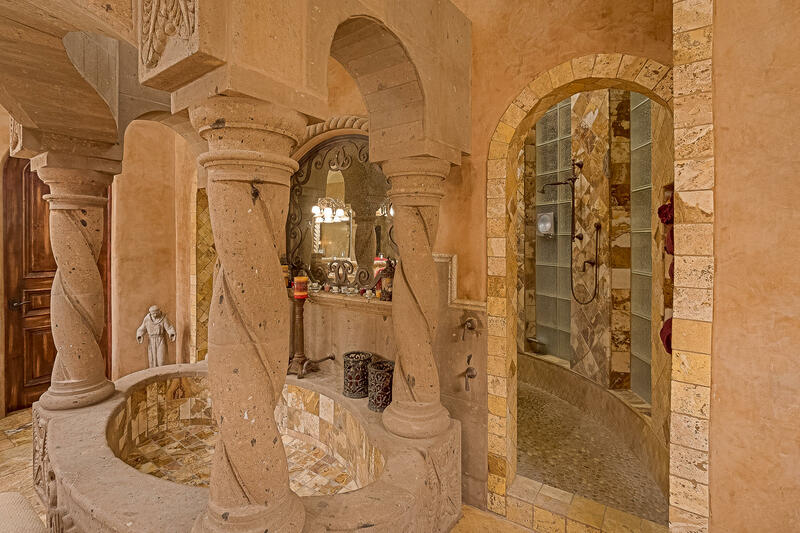 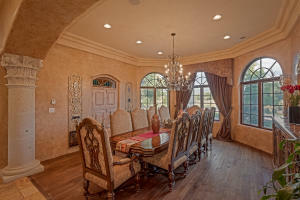 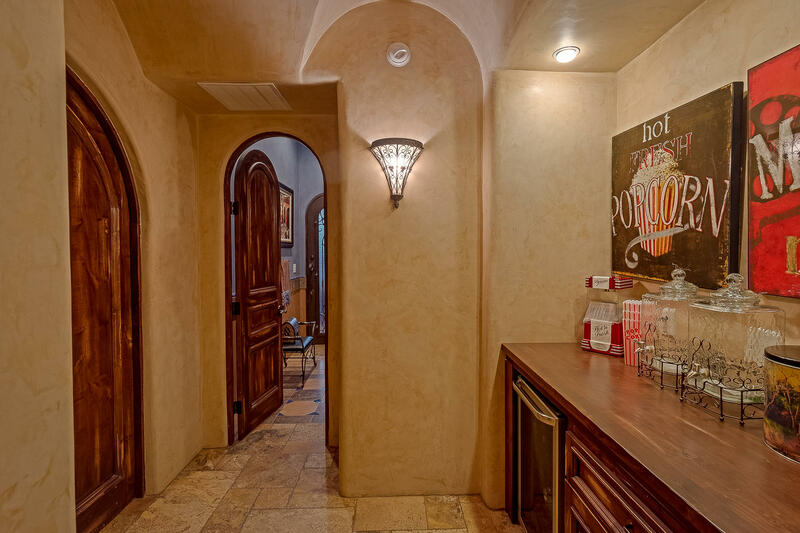 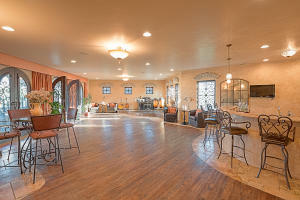 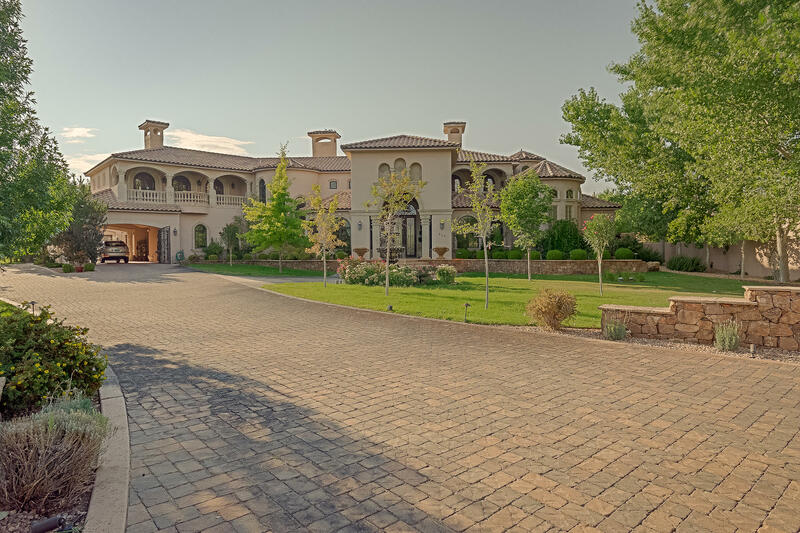 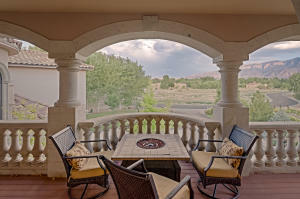 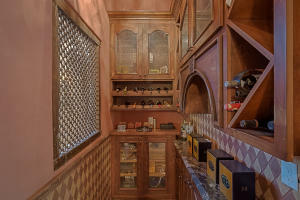 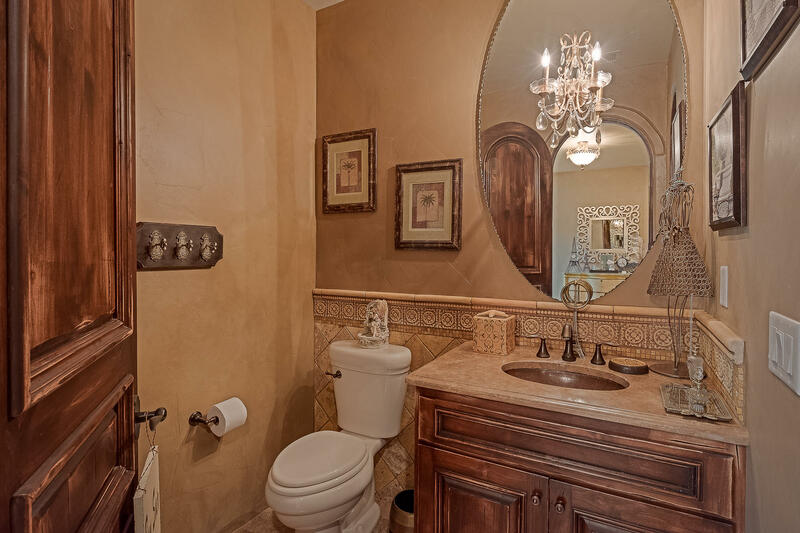 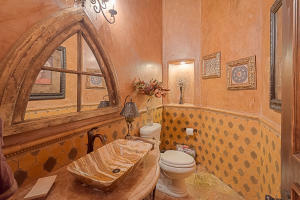 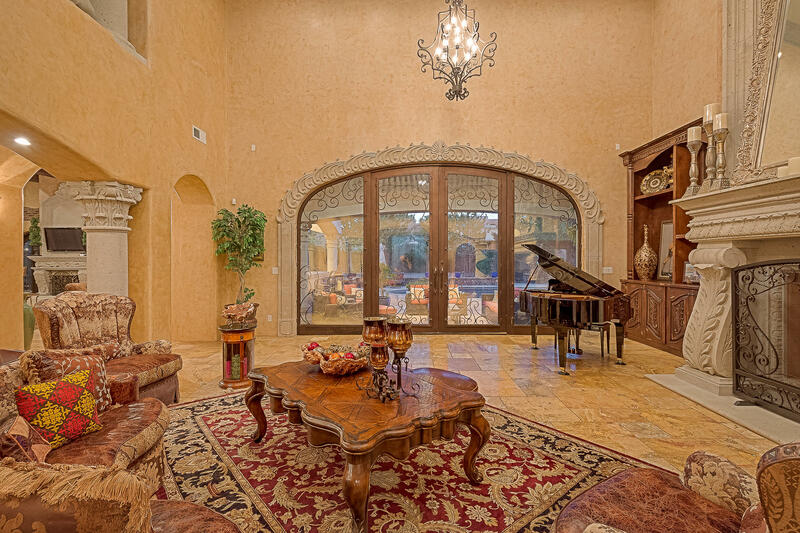 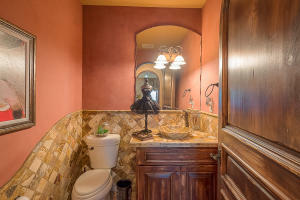 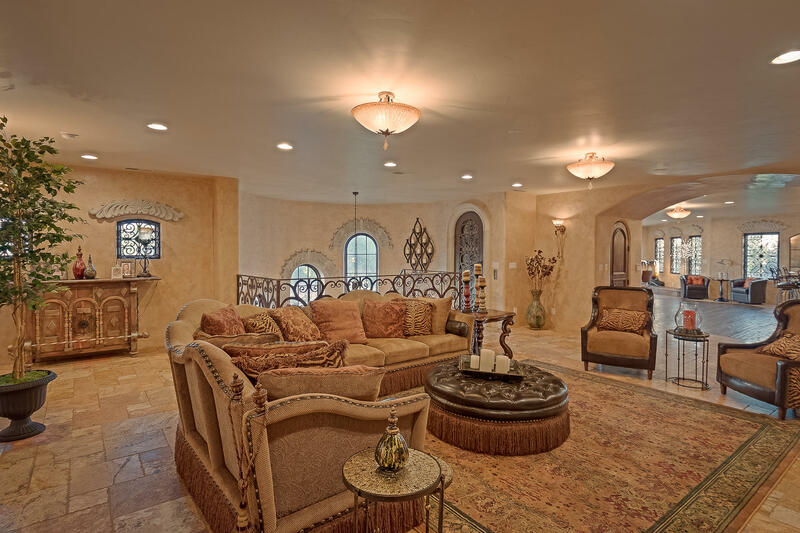 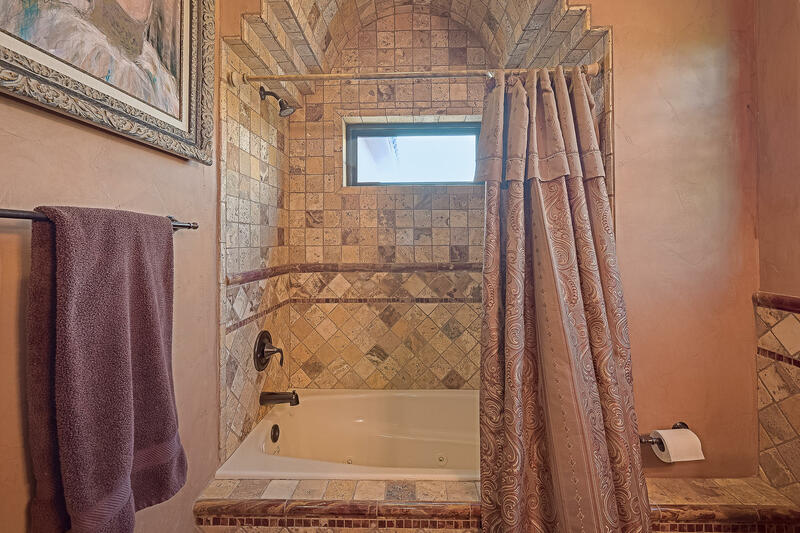 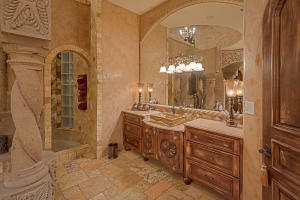 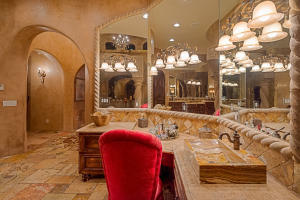 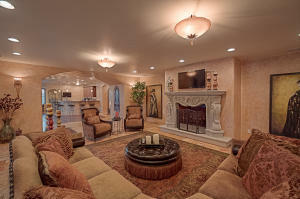 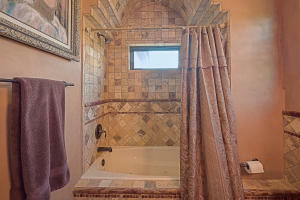 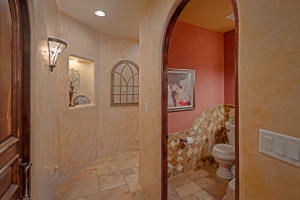 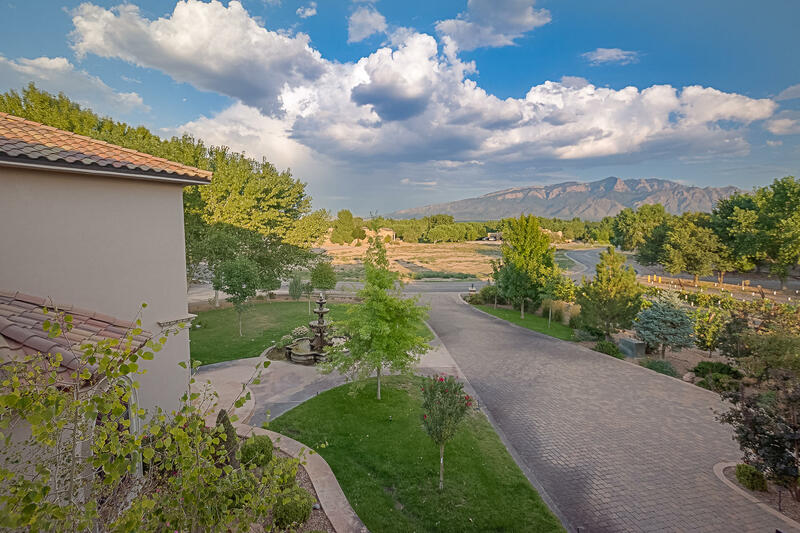 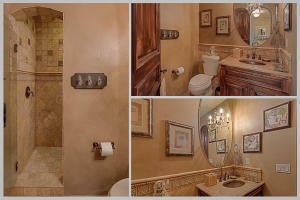 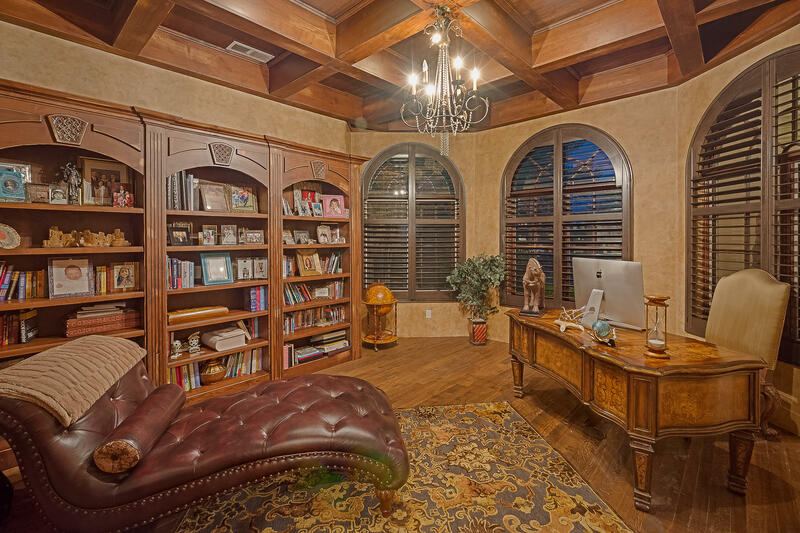 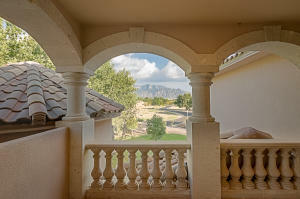 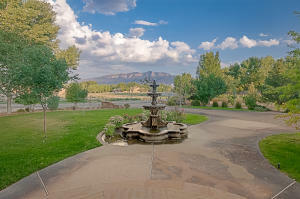 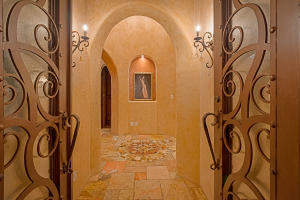 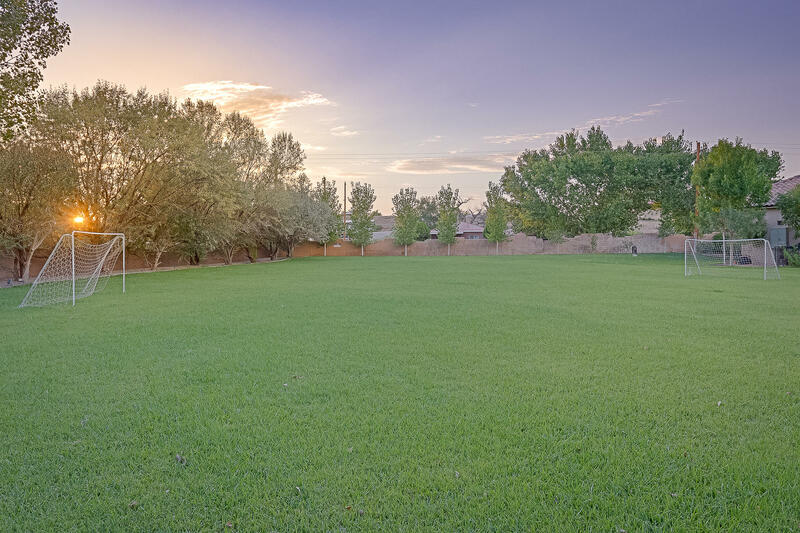 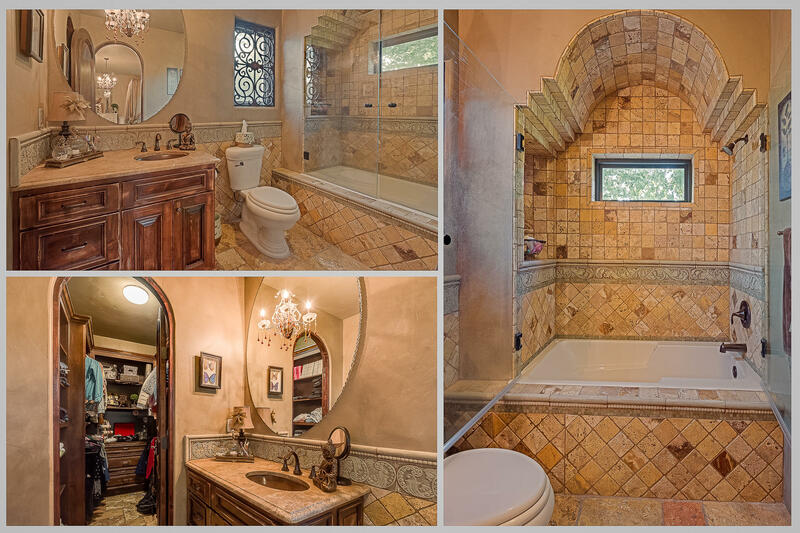 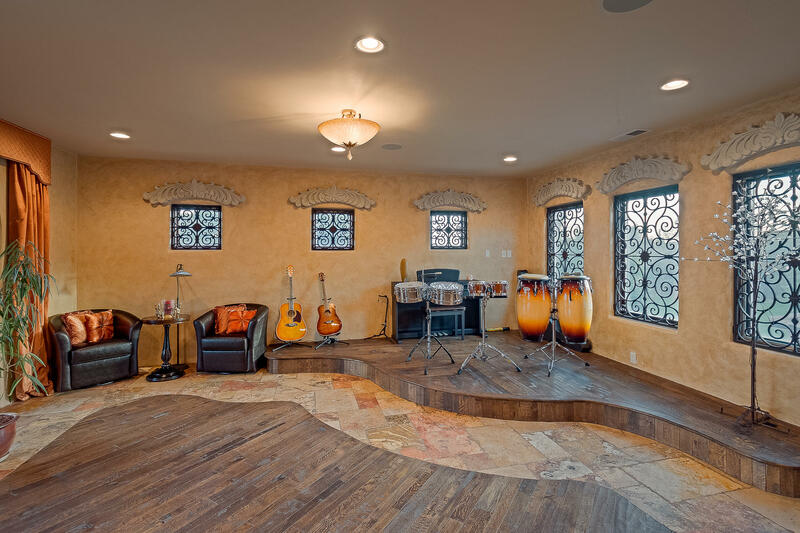 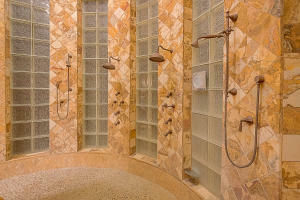 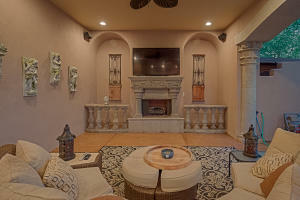 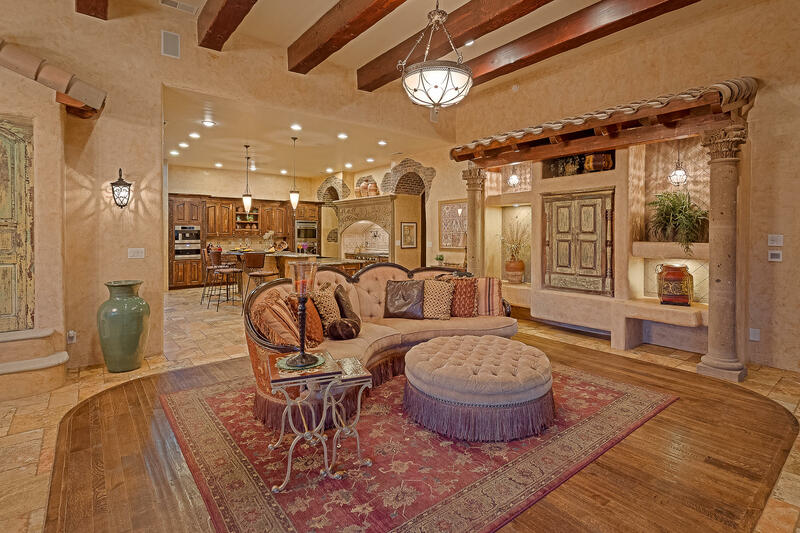 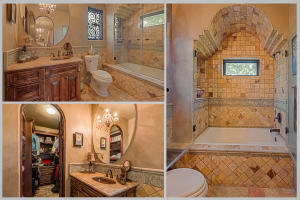 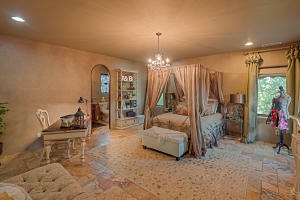 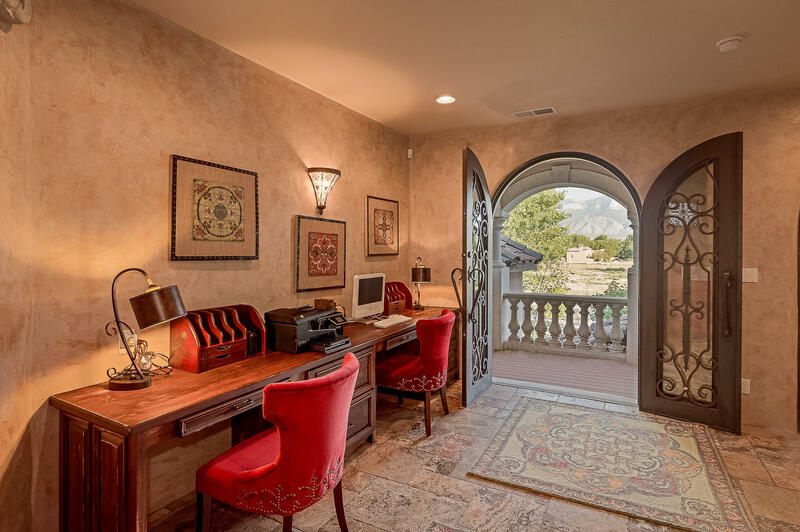 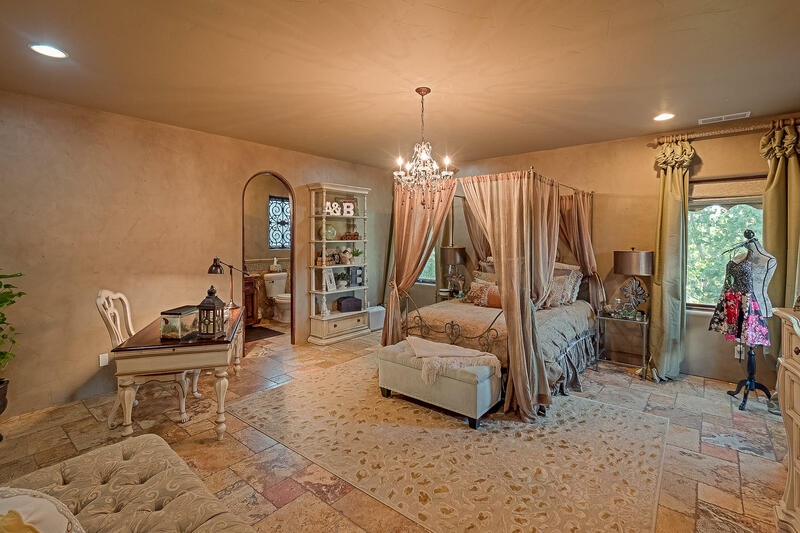 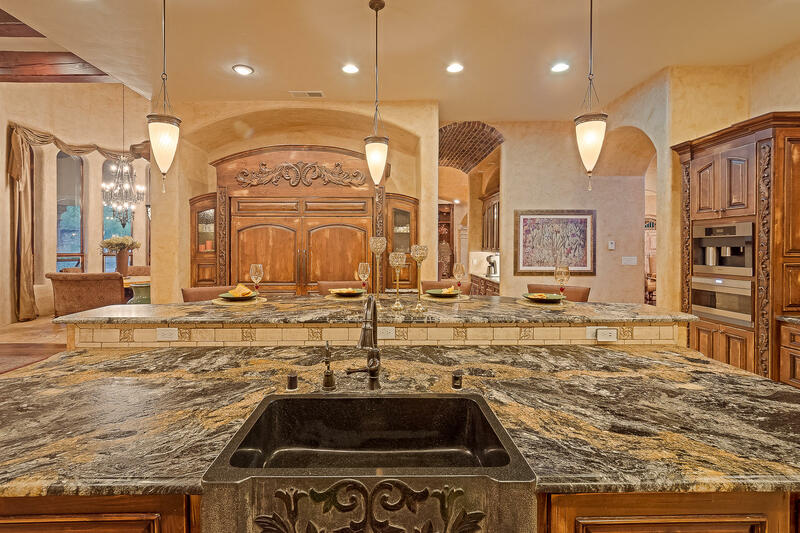 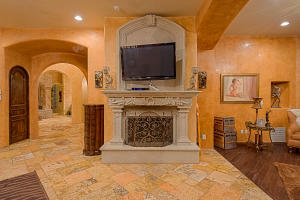 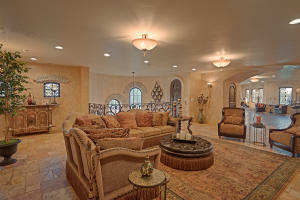 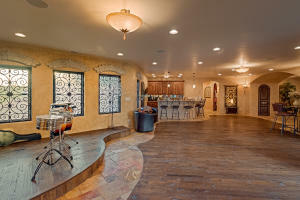 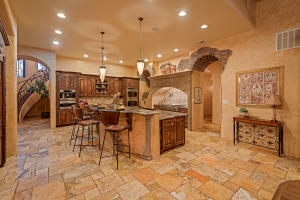 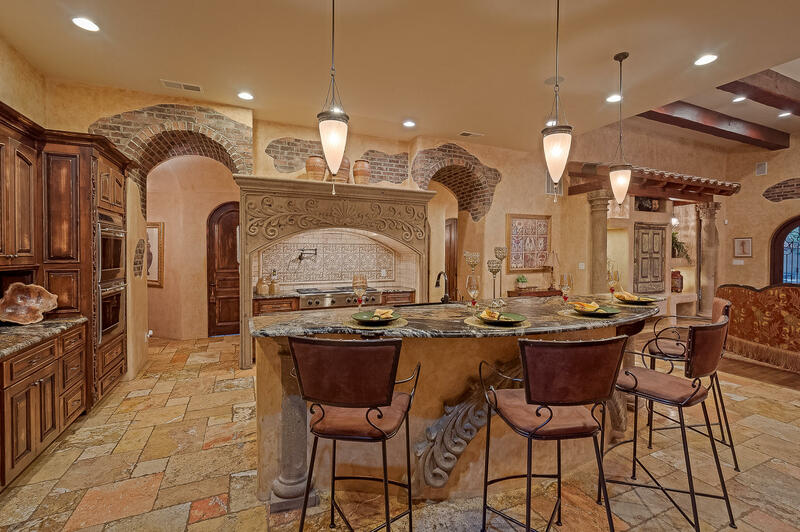 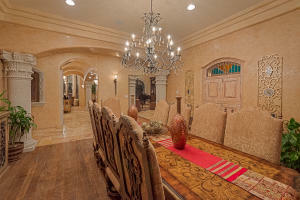 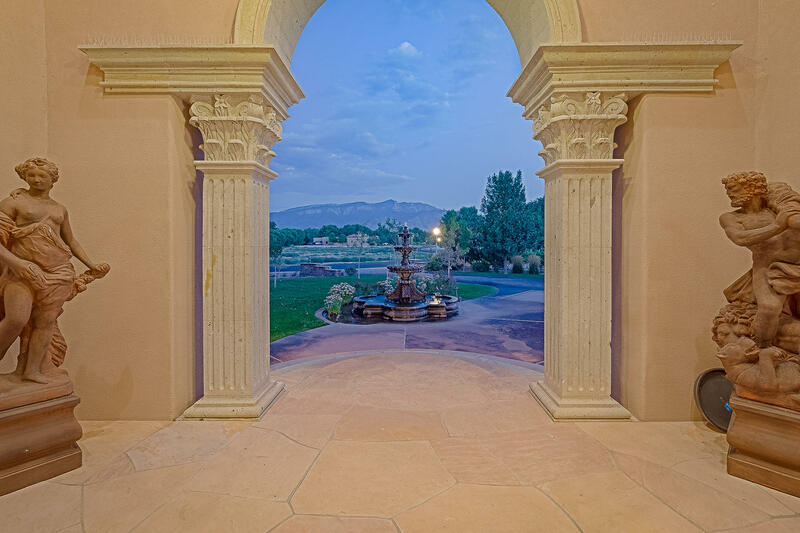 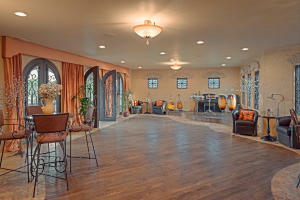 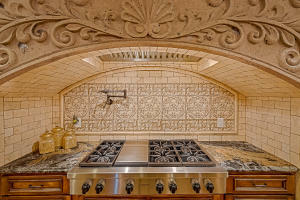 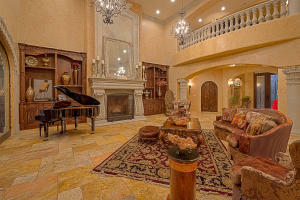 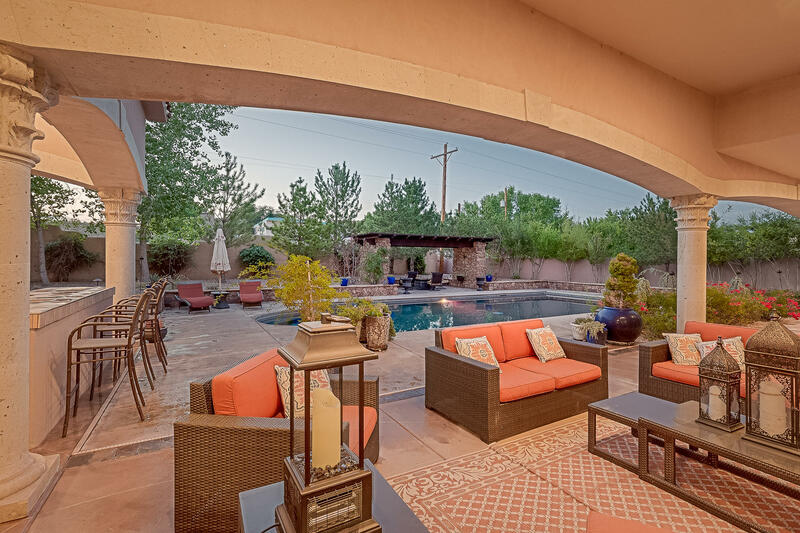 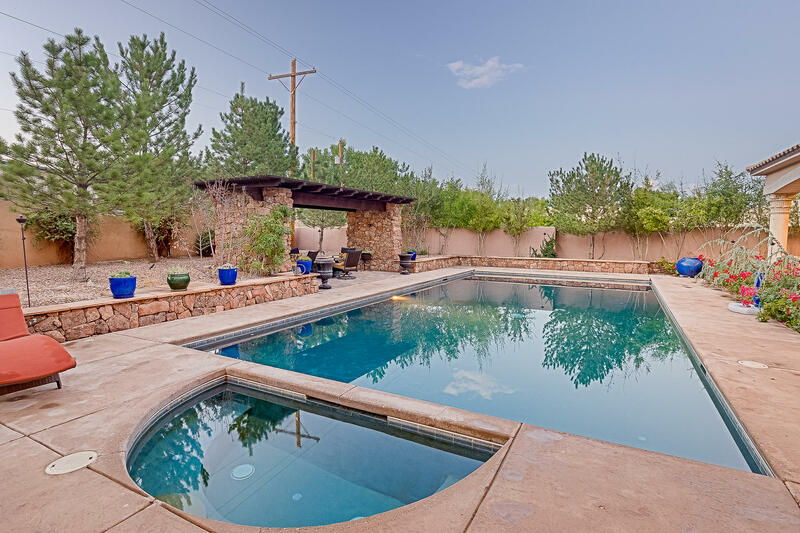 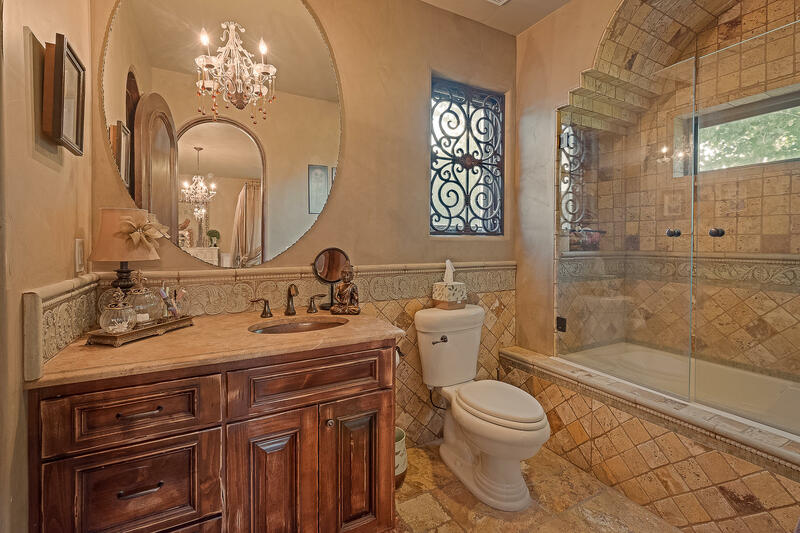 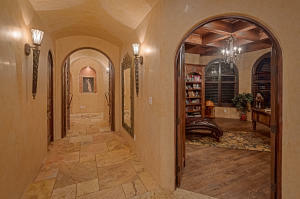 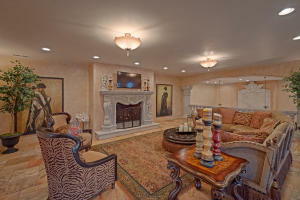 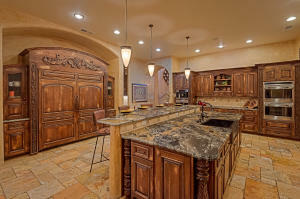 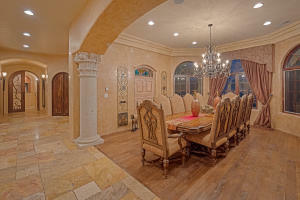 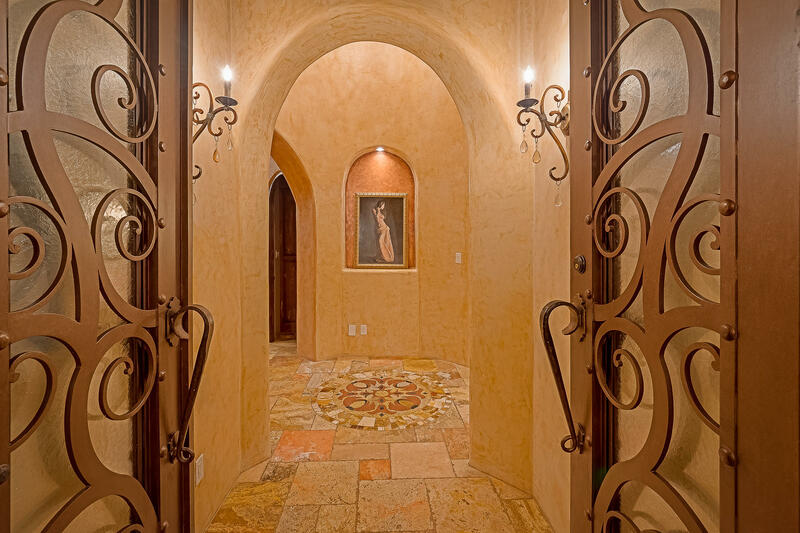 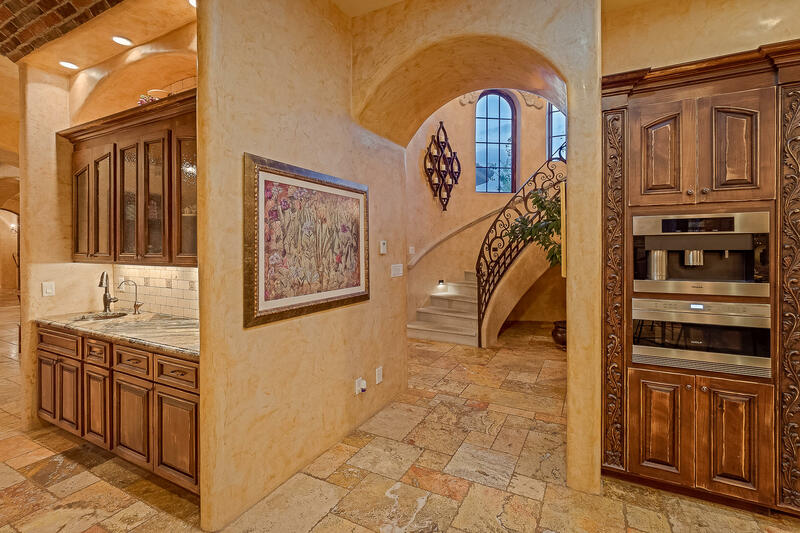 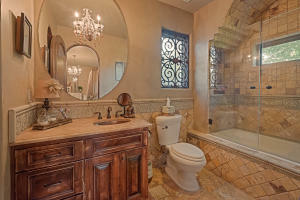 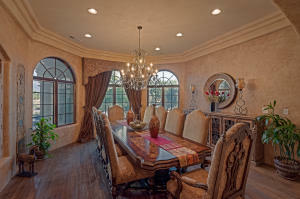 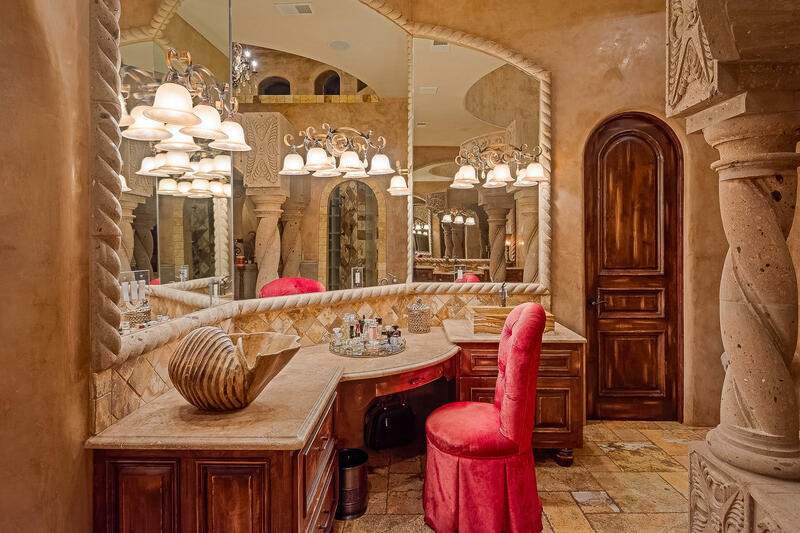 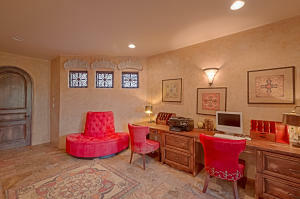 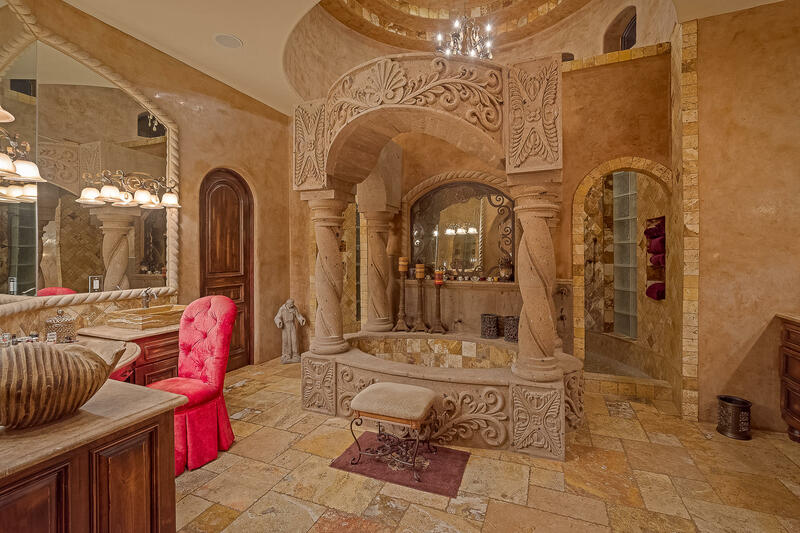 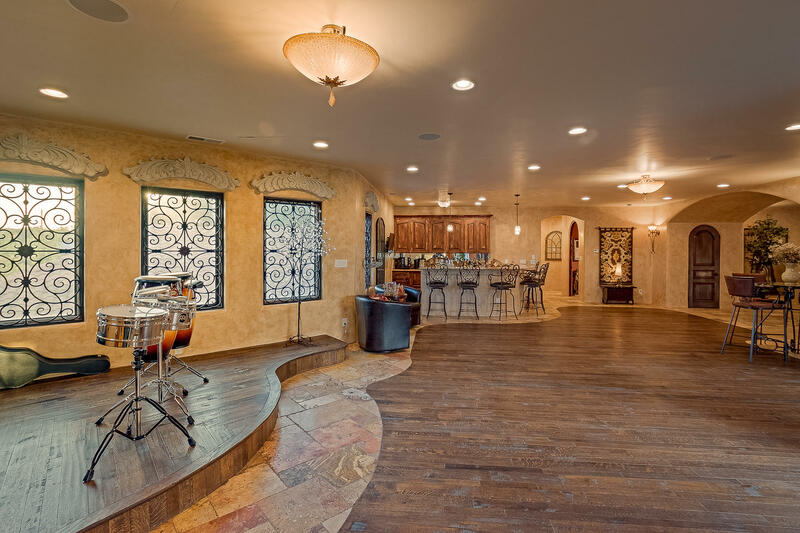 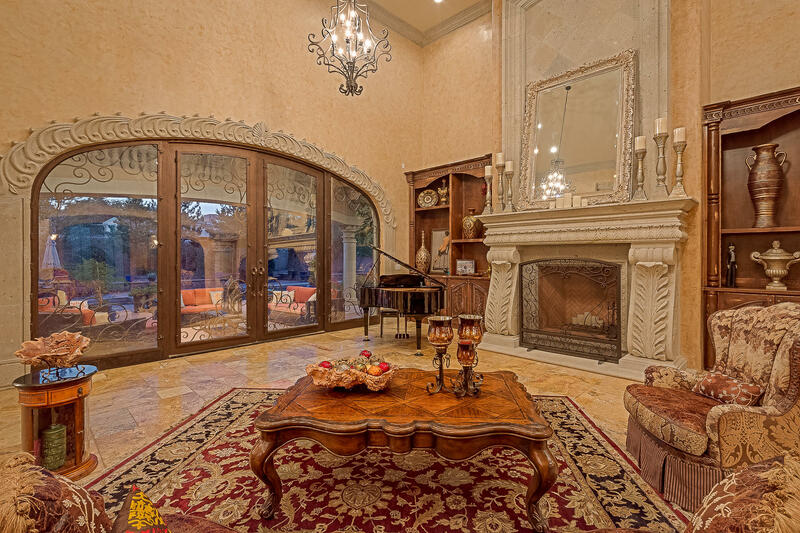 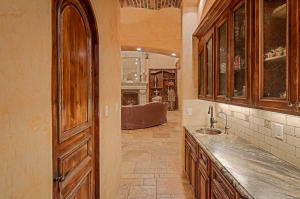 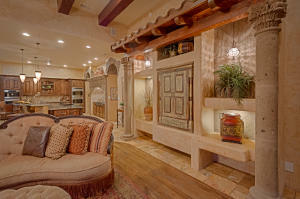 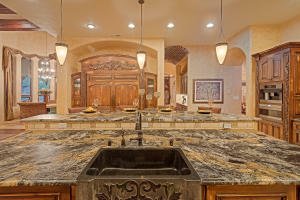 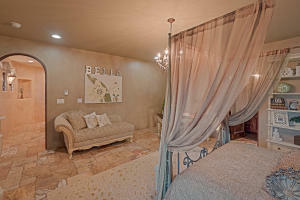 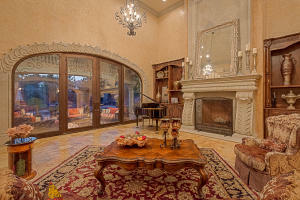 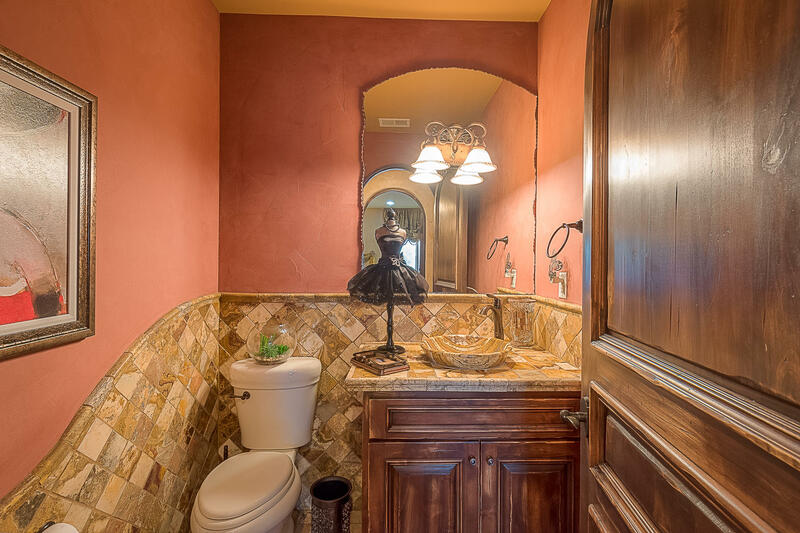 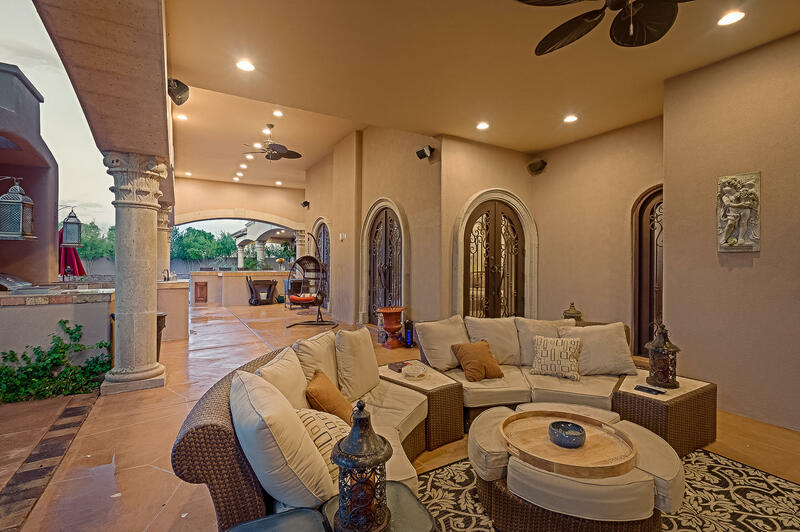 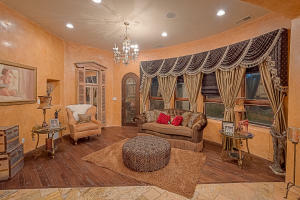 Exceptional estate property with incredible details rarely found in Albuquerque area homes. 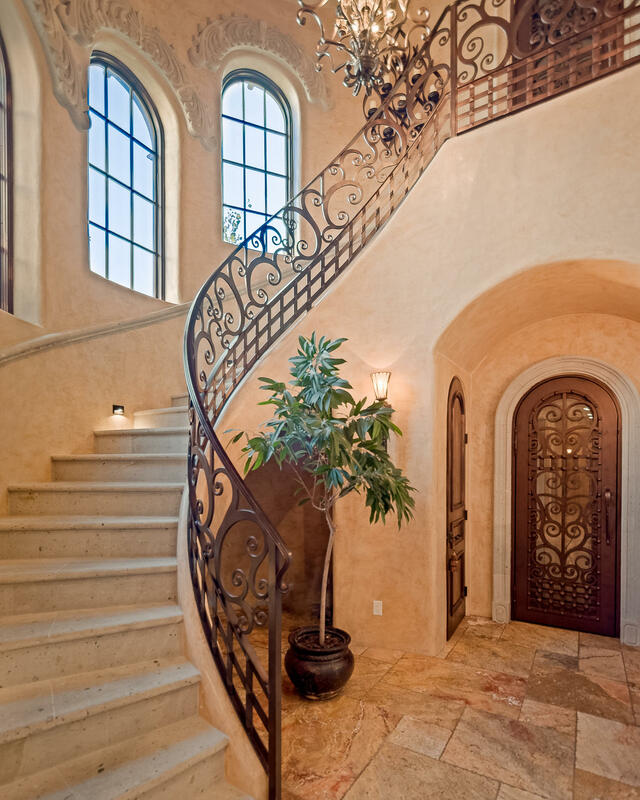 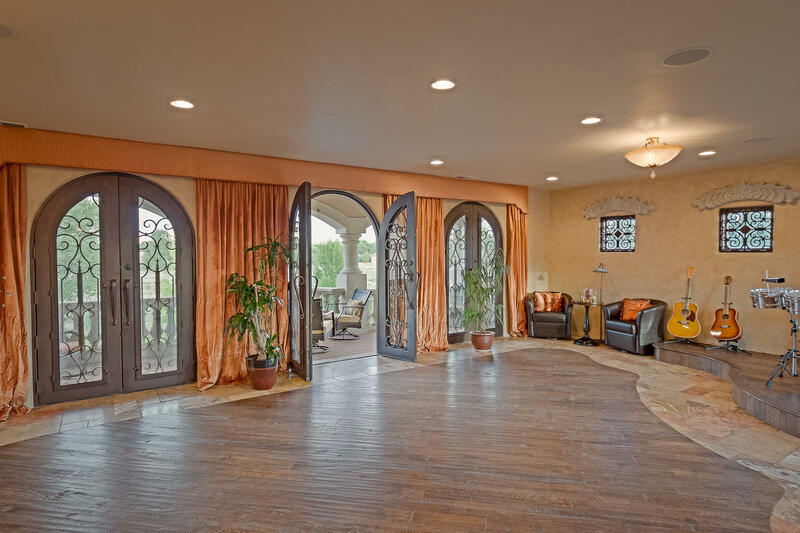 Versaille travertine, hardwood floors and plaster walls create a sense of luxury as you enter through massive front doors. 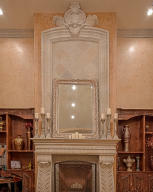 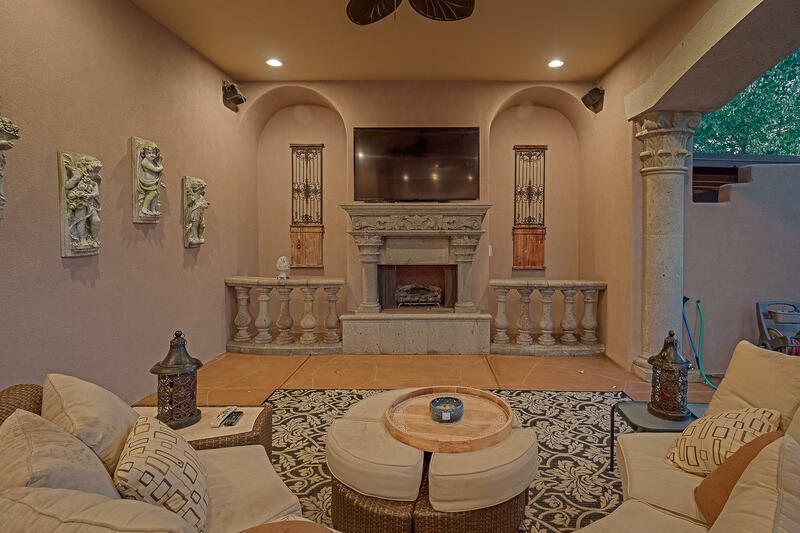 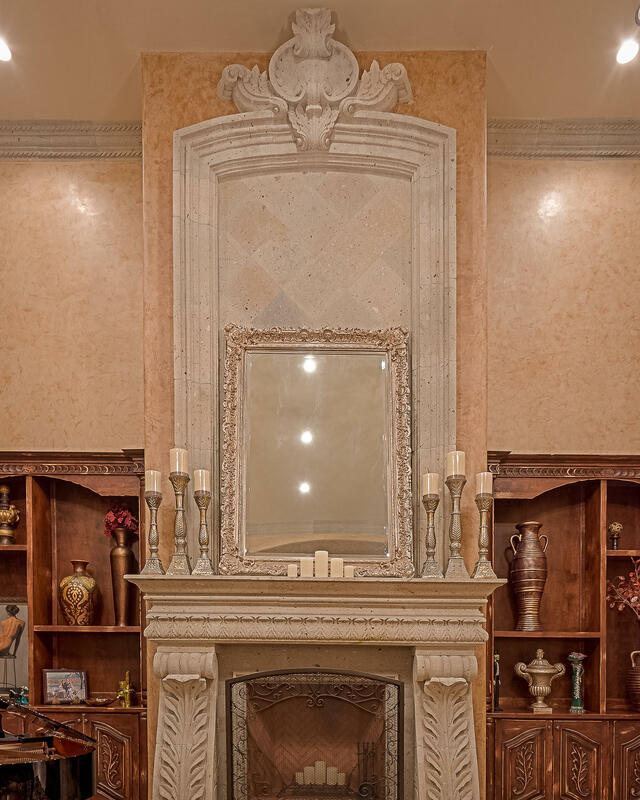 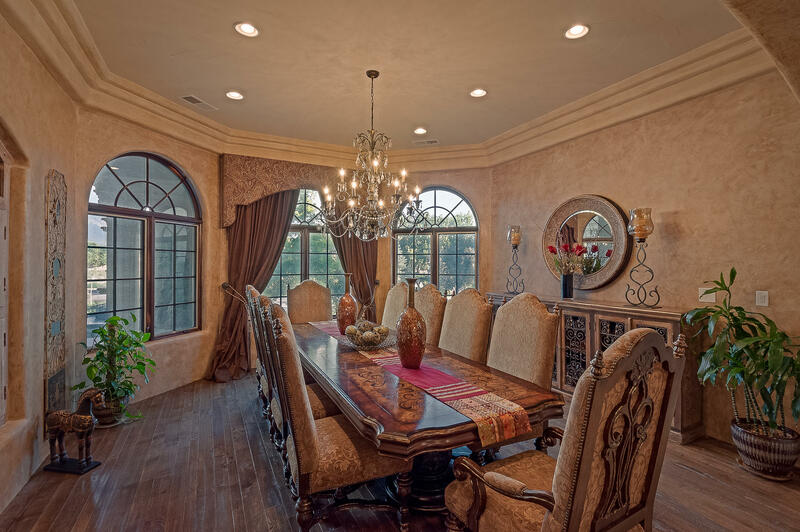 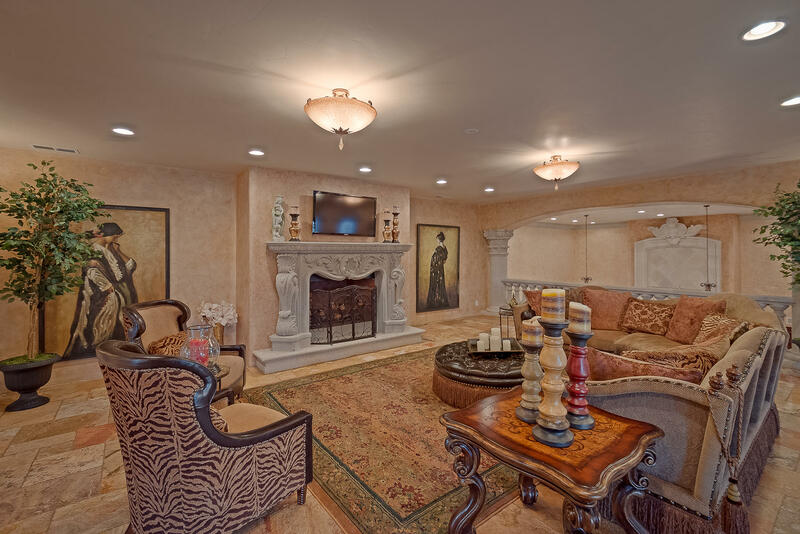 Cantera stone--fireplaces, crown molding, window and door surrounds throughout reflect the exquisite taste of the owners who created this masterpiece for their family. 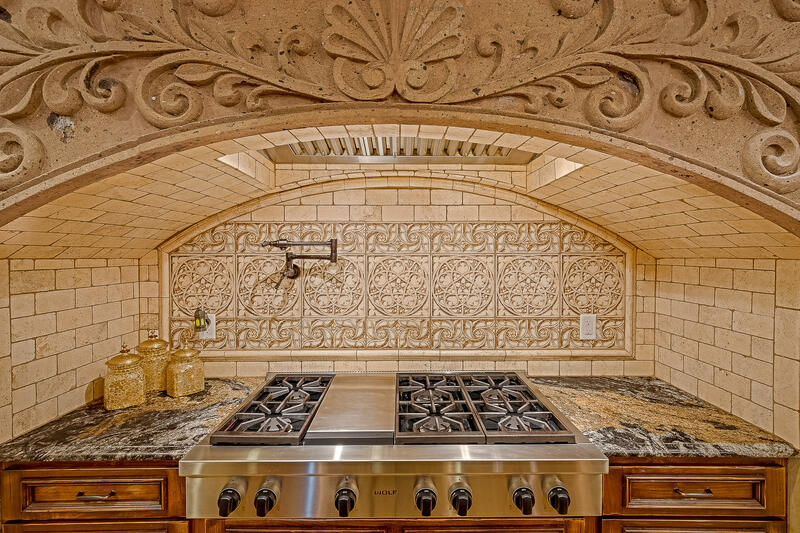 Massive handmade arched metal French doors and railings, marble and stone sinks and counters, tasteful custom kitchen w/Wolf and Subzero make it also feel like home. 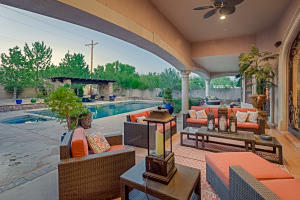 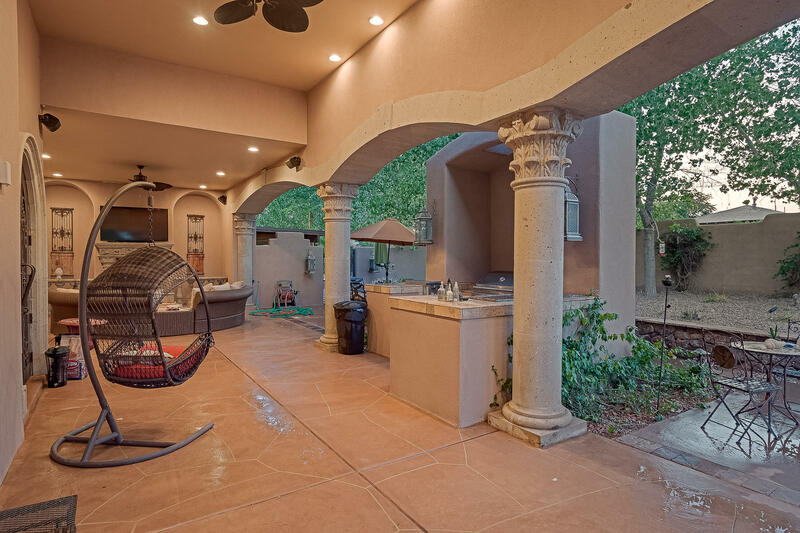 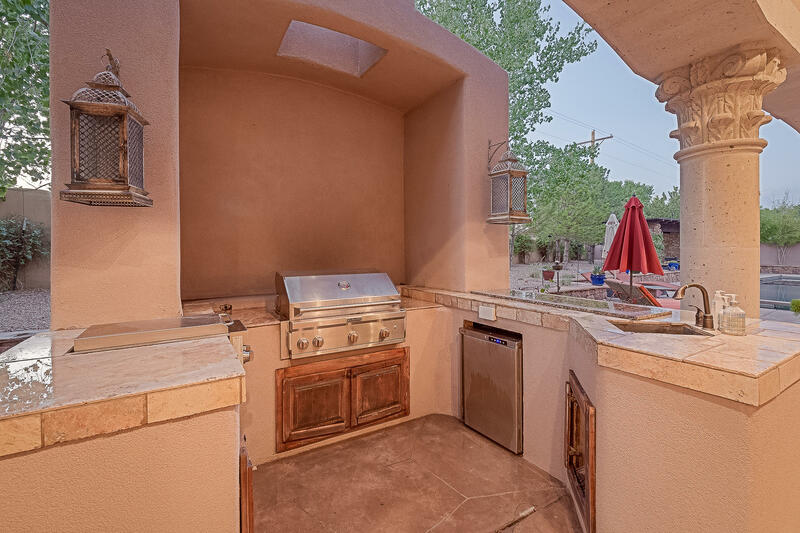 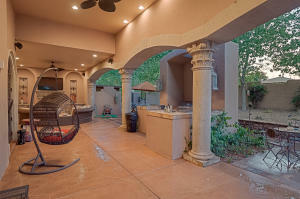 A resort-like atmosphere is found in the outdoor family room and kitchen adjacent to the pool. An elevator easily accesses upstairs spaces including a family area with fantastic mountain views, a balcony, a dance floor sitting area and guest wing.